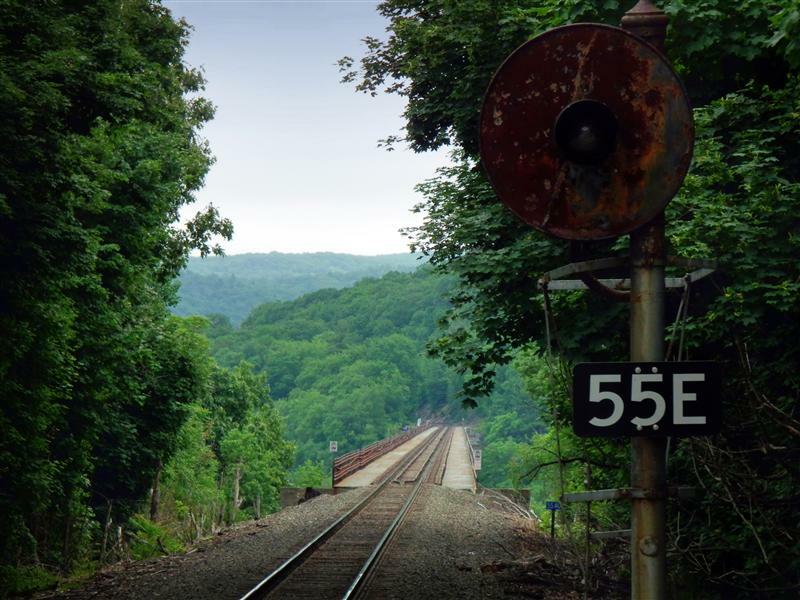 Continuing our Port Jervis Line tour where we left off last week, we depart Harriman station, bound for the next station on the line, Salisbury Mills – Cornwall. We’re still moving along what was once known as the Graham Line (named after Chief Engineer Joseph M. Graham), which was created to better accomodate freight. 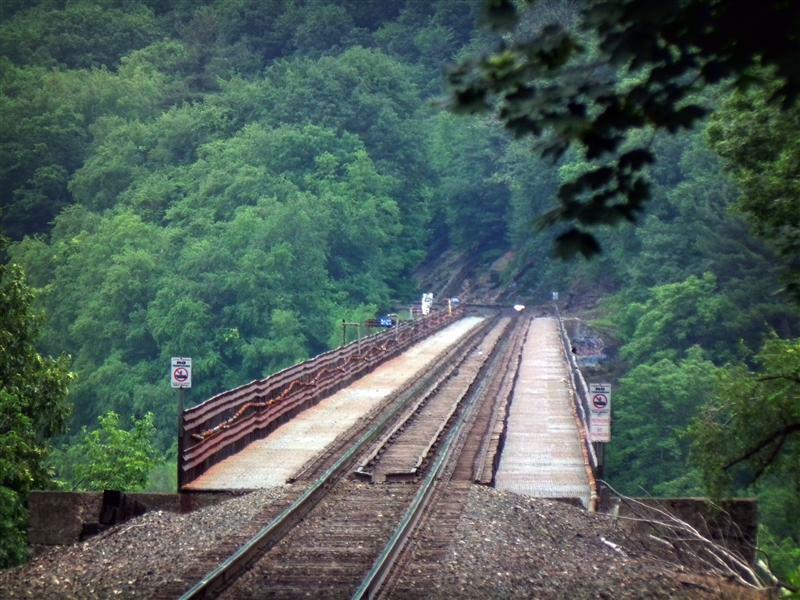 Really, the most noteworthy part of the then-Graham Line, today’s Port Jervis Line, is the Moodna Viaduct. Many months ago I did post a bit about the viaduct, so I wont really rehash any of that here, but in order to finally arrive at Salisbury Mills – Cornwall station, you cross over the viaduct. Although I am sure the valley looks quite beautiful from the train, I don’t think the viaduct can fully be appreciated until you view it from afar. Train crossing the Moodna Viaduct. 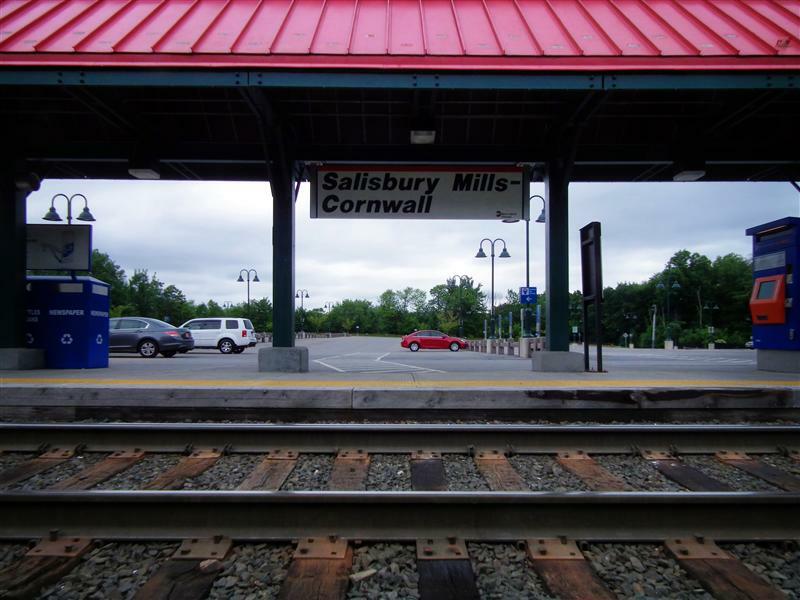 The Salisbury Mills – Cornwall station is located right at the end of the viaduct. The facility at Salisbury Mills – Cornwall is relatively underwhelming – at least in comparison to the lovely viaduct we just crossed. The first thing one notices upon arrival are how long the station name signs are – long enough to contain two rows of text. If Metro-North’s goal was to come up with some of the longest station names possible, they certainly succeeded on the Port Jervis Line. 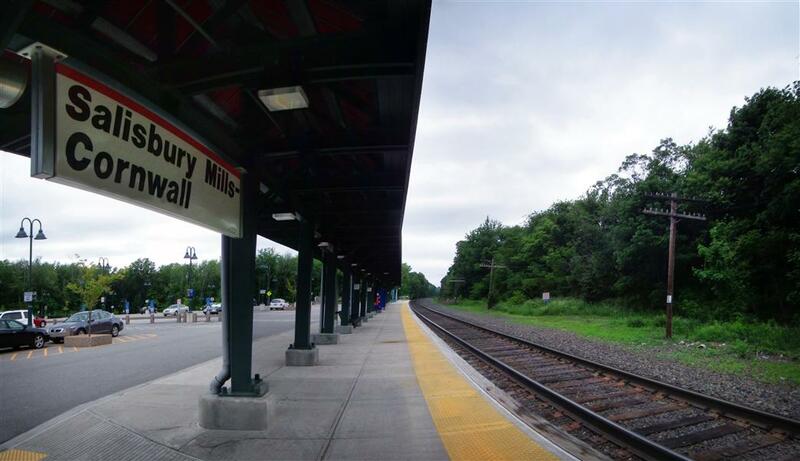 Sadly, Salisbury Mills – Cornwall just misses out to Middletown – Town of Walkill for the honor of Metro-North’s longest station name. 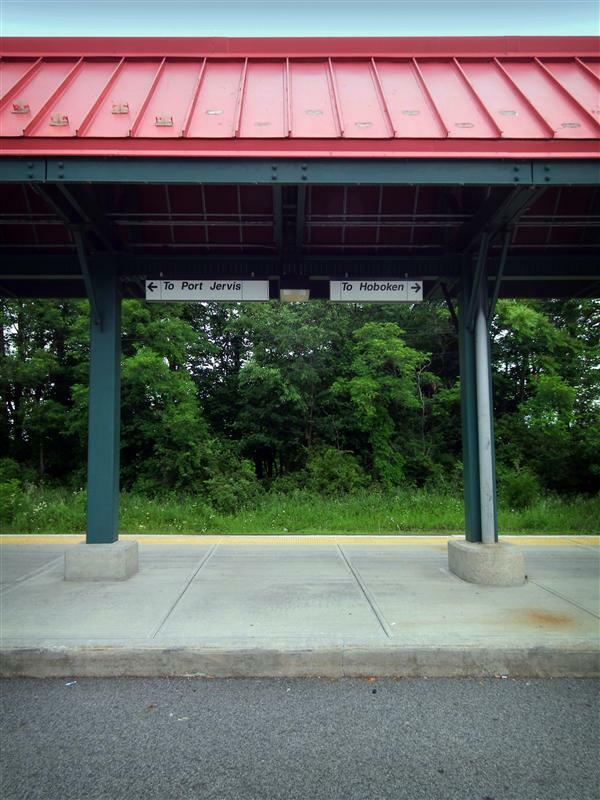 Back at Harriman, I mentioned that a few of the stations on the Port Jervis line feature a little historical sketch on the canopy. 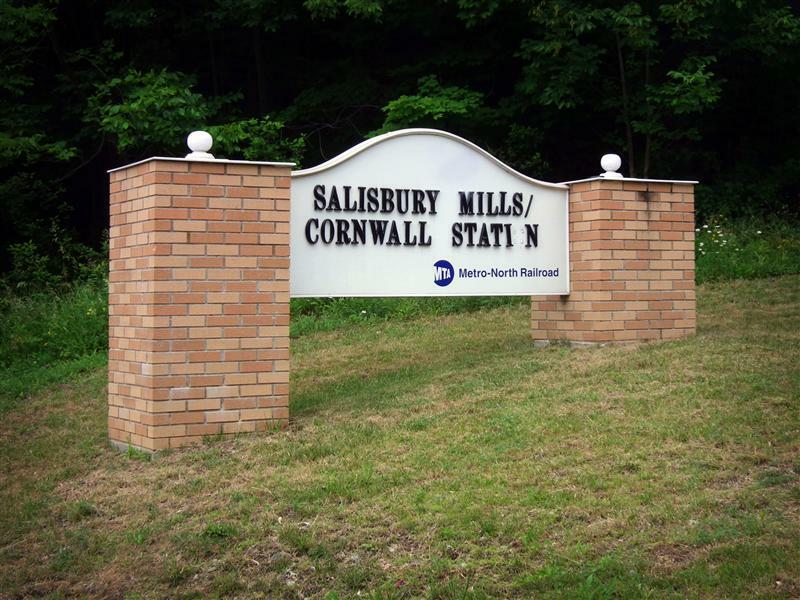 Unfortunately, the one at Salisbury Mills – Cornwall is left blank… which is really too bad, since it would give this relatively plain facility a (very small) bit of character. 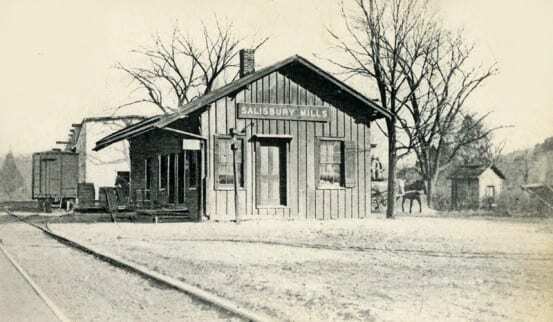 Old views of the depot at Salisbury Mills. Upper image is a postcard view from the early 1900’s, lower image is from 1971. 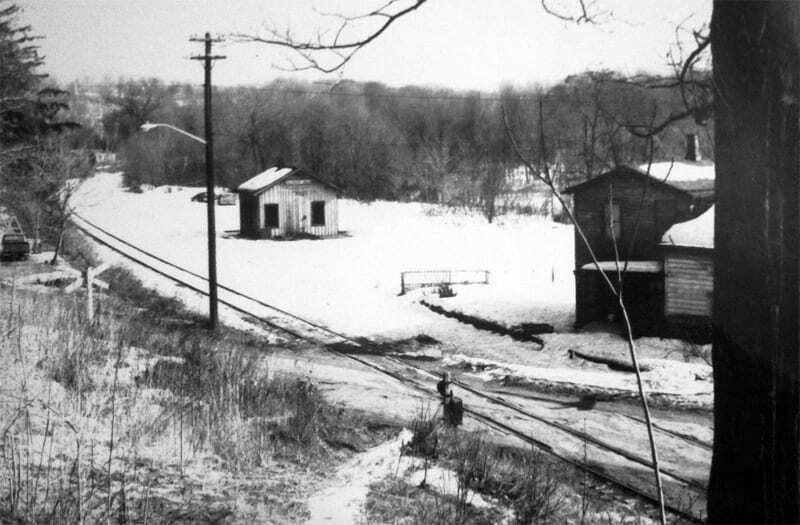 The original Salisbury Mills station was on the Erie’s Newburgh Branch. 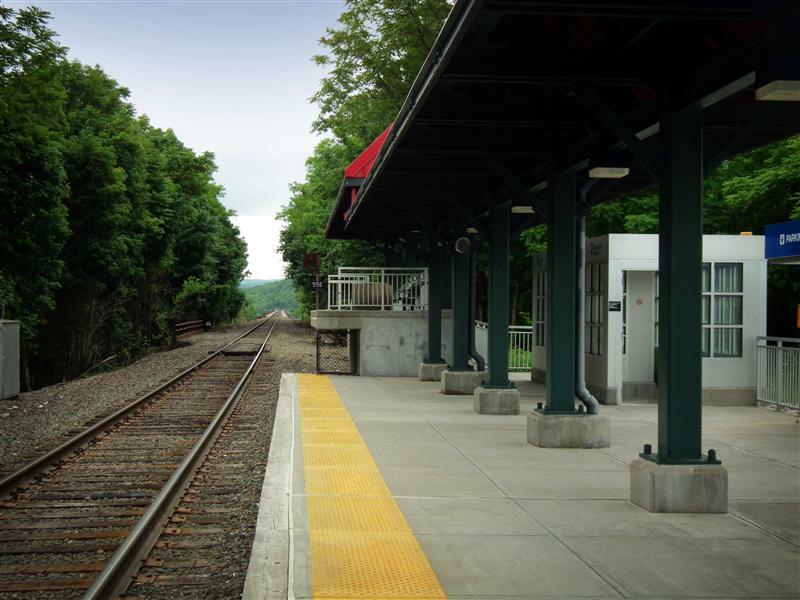 Salisbury Mills – Cornwall is one of a few Port Jervis line stations that is ADA accessible, and the south end of the platform has a small high-level platform for passengers requiring wheelchairs. From this end of the platform you can also see the end portion of the viaduct, although it looks far shorter from this vantage point. 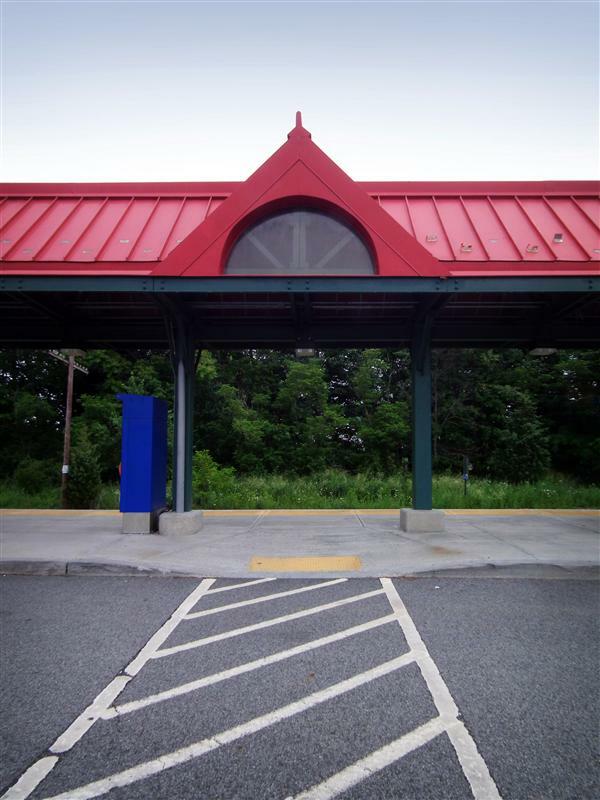 Though the station has two shelters for patrons to use, the one here on the platform’s south side is a bit nicer than the one on the other end (this portion of the platform is also covered by a canopy). 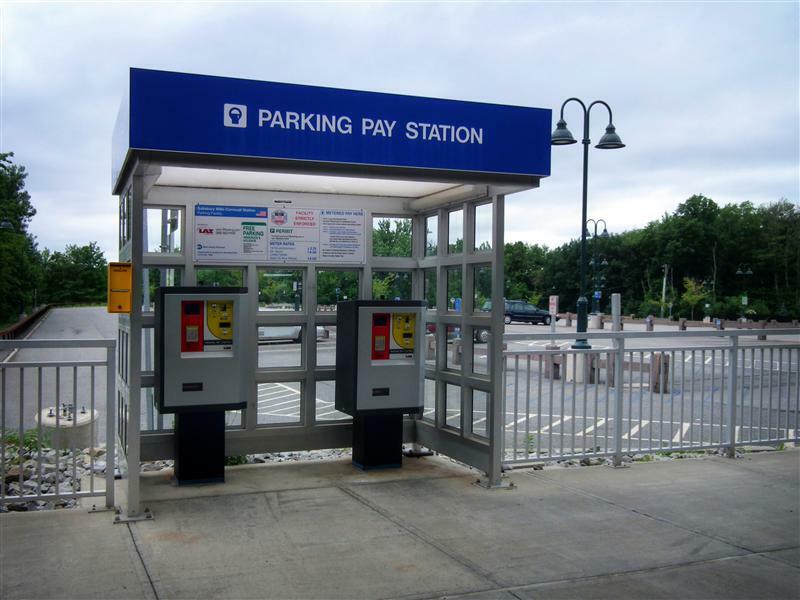 Next to the shelter are two lovely parking pay machines (doesn’t everyone love to pay for parking?! 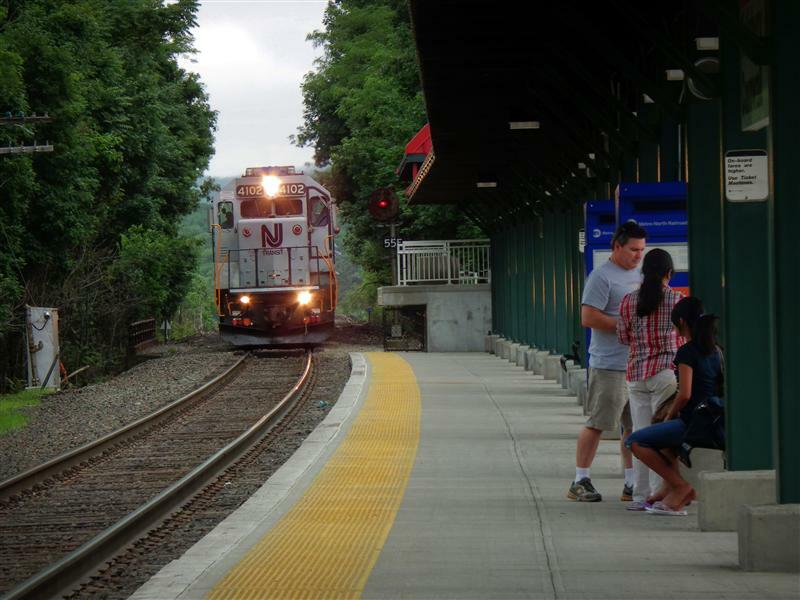 ), and more towards the middle of the platform you can find two NJTransit ticket vending machines. 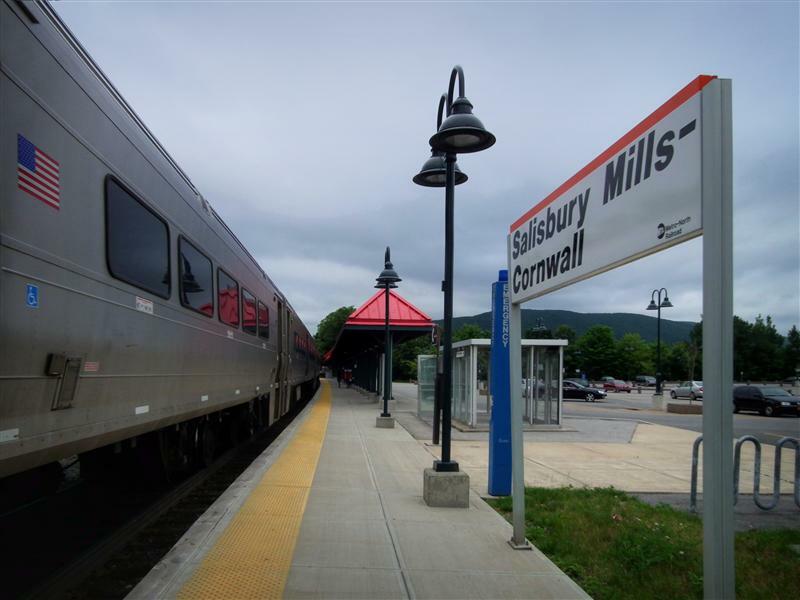 As an art lover, I’d certainly be remiss if I did not mention that the Salisbury Mills – Cornwall station is not far from the wonderful Storm King Art Center. 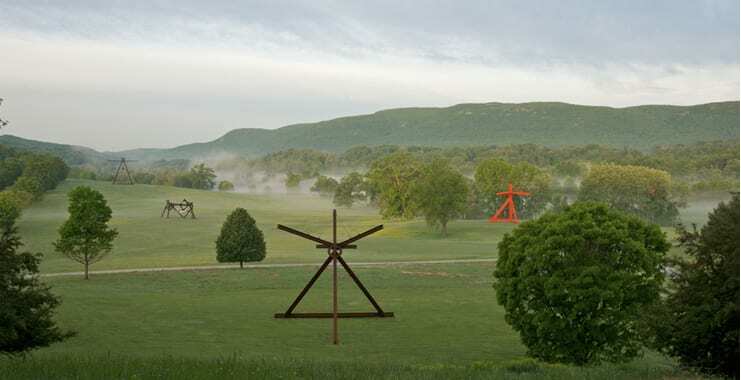 If you haven’t heard of it before, Storm King is a sculpture park situated on over 500 acres of land. Many noteworthy artists have works on display, such as Isamu Noguchi and one of my personal favorites, Alexander Calder. Back when I featured Greenwich, I mentioned artist Mark di Suvero, as a sculpture of his is located right next to the station. That sculpture’s companion piece is located here at Storm King. 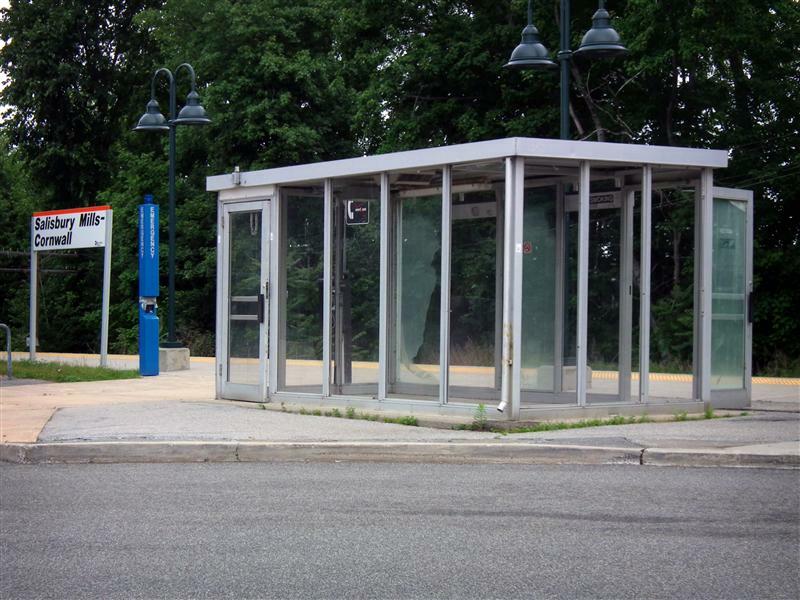 Unfortunately there is no public transportation that will carry you from the station to the art center, so you’d have to get a taxi to take you the place – though it is only three miles away from the station. 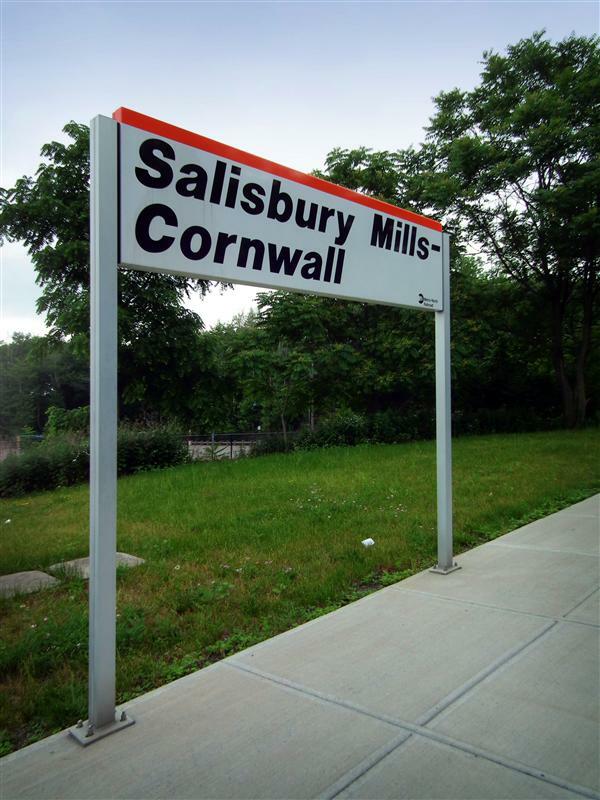 That is about it for Salisbury Mills – Cornwall. Next week we will continue with Campbell Hall station. 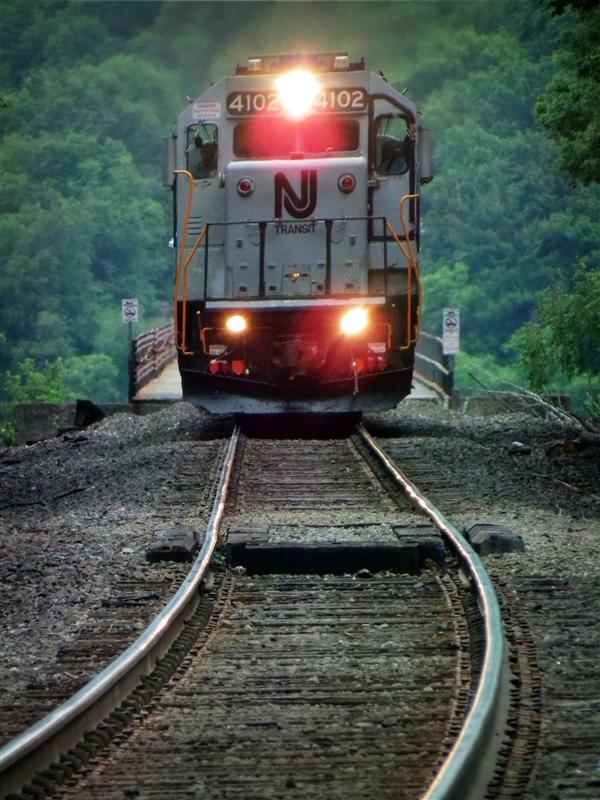 Everything seems to be going by so fast… we’re already half-way through the Port Jervis Line! 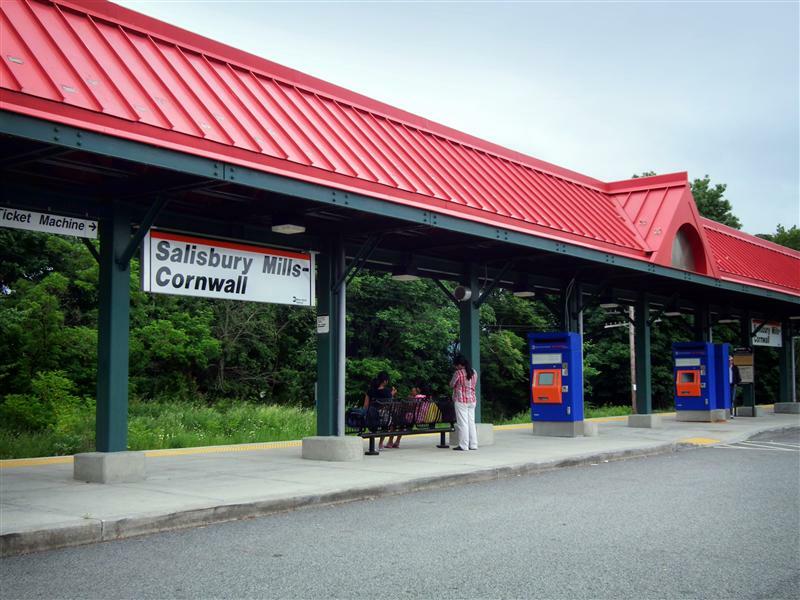 Need to mention that Salisbury Mills Station for the Erie was not on the Graham Line. 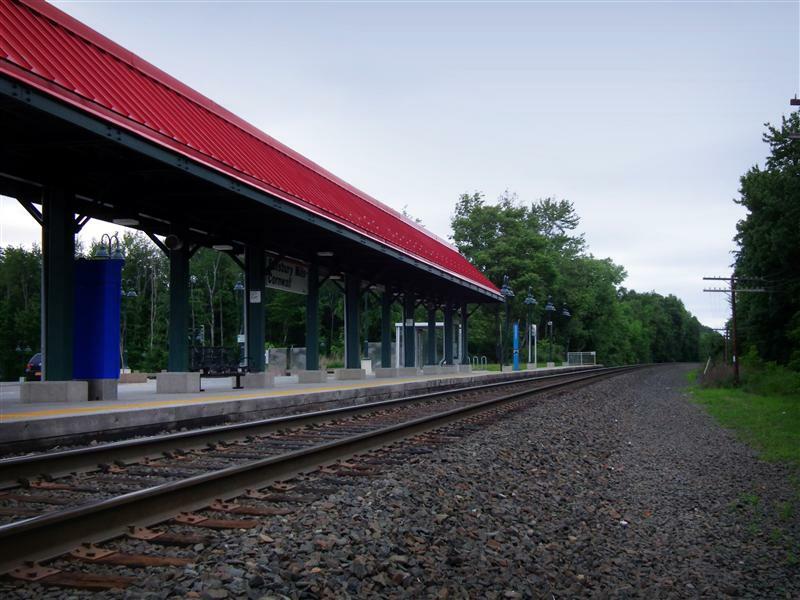 When constructed, the Graham Line had no stations on it. Salisbury Mills was on the Newburgh Branch nearby. Yeah, though, Middletown-Town of Walkill and Salisbury Mills-Cornwall are going to be the two most boring stations you’re going to cover. Otisville and Campbell Hall have some history attached at least. No problem. Just wanted to make sure that’s known. Campbell Hall next week is under the same situation. The Campbell Hall station was on the Montgomery Branch, where NY 207 crosses the old branch. There is an old caboose and a lot of railroad stuff on the site of the Montgomery Branch station. The current Campbell Hall station sits in the middle of Campbell Hall Junction (MQ), which went between the Montgomery Branch and the Graham Line. 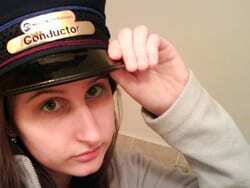 I remember twice taking the train to/from there. Once in 84/85 from there to Hoboken. 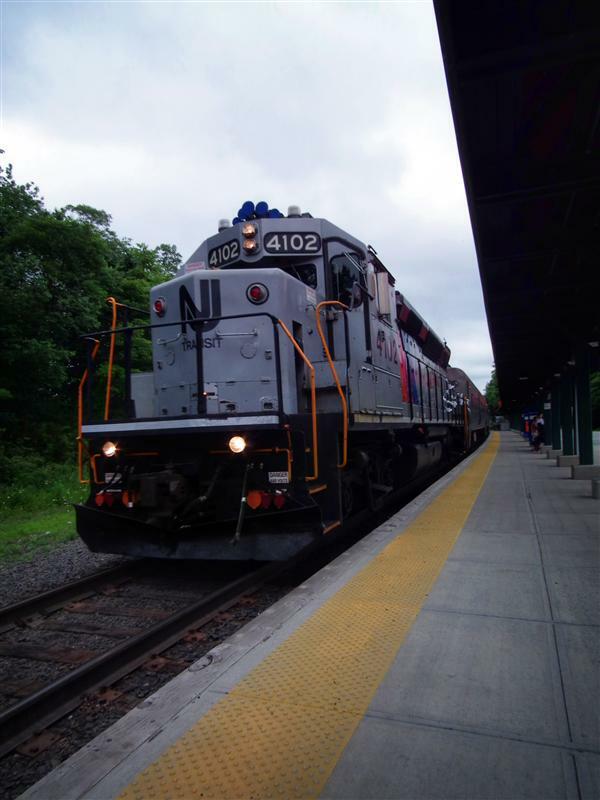 Then a few years back on one of those Santa trainsthat came up through Bergen County to Suffern up over the viaduct to the Cornwall station. Since even a few years (okay 10) what changes have been made to that station. Great post! Thanks for posting the picture of the old Salisbury Mills depot. I never would have guessed that’s where it was. That area is completely overgrown with trees now (I guess it has been 40 years).